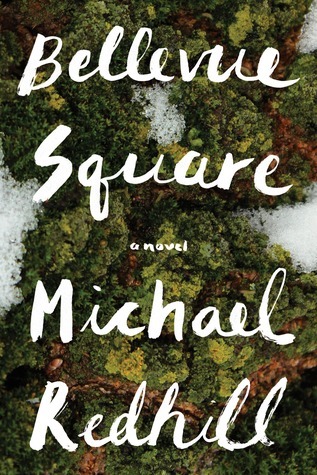 This is the 24th anniversary of the Scotiabank Giller Prize, a prize that was founded in 1994 by (the late) Jack Rabinovitch in honour of his wife, the late literary journalist Doris Giller. The prize awards $100,000 annually to the author of the best Canadian novel or short story collection published in English, and $10,000 to each of the finalists. The 2017 Giller Prize jury members are: Canadian writers André Alexis, Anita Rau Badami (Jury Chair) and Lynn Coady, along with British author Richard Beard and American writer and playwright Nathan Englander. You can find more information about the jury members here. Again this year I will be joining Kim from Reading Matters and Alison from The Globe and Mail on the Giller Prize Shadow Jury. The shortlist will be announced on October 2nd, after which we will be reading and reviewing the books on the shortlist, and making our shadow selection a few days before the real winner is announced on November 20th. Surprises? Disappointments? Was there a particular book you were hoping to see on the list? Which ones tempt you? Any predictions for the shortlist? I think a lot of these books are new to most Canadians, as well! But that’s part of the fun, right? I haven’t read The Polished Hoe, but have it on my shelf just waiting for that rainy day… Glad to hear you recommend it! 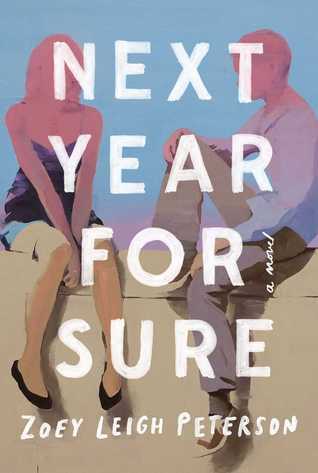 Apart from the one by Rachel Cusk (who I’d forgotten was eligible), I’d only even heard of one of these books: Next Year for Sure. It still seems that Canadian literature is underrepresented in what gets published in other countries. Is it normal for non-Canadians to be on the prize jury? It’s interesting to me that they’ve included one Brit and one American. I think it’s just been in the last few years that they’ve included non-Canadians on the jury. Also, up until 2015 the jury only consisted of 3 people instead of 5. Have fun reading! I’m sure I’ll be adding a number of these titles to my CanLit TBR, after reading your reviews. I took part in an official Booker shadow some years ago and it was a very enlightening experience. I came away with rather more understanding of just how difficult it is to decide on a winner. In the end the book we selected was the first choice of none of us but it was second in most people’s list. It also won the actual award and I’ve often wondered if the real judges had come to the same compromise that we had. That part of the whole experience is fascinating, isn’t it? And I love getting the differing perspectives on the books. I’d love to hear more about your Booker shadowing. It was set up by the BBC, Rebecca through a number of local libraries. We were each given copies of the short list and then brought together in central groups to discuss the books and make our nomination. It was a particularly strong year but the books did tend to divide rather than unite opinion. You either liked them or you didn’t. Which is why we ended up with no clear cut winner. My choice would have been Amitav Ghosh’s ‘Sea of Poppies’ but other people found it tedious. In the end we went with the book that most people had put second, which was ‘White Tiger’, because otherwise we would have had no decision. I hadn’t put it second; I really didn’t like it. However, it went on to win the actual award, which is what makes me wonder if the official judges had the same problem that we did because for me it was simply not a Booker winner. Thanks for sharing! It must have been an interesting experience, but also kind of frustrating to have such differing opinions. Thanks 🙂 That sounds really neat. Do you know if such a program is still running? I’m always on the lookout for opportunities like that. No, it was a one off I’m afraid, although the year before they had asked six people to read the long list and try to predict the short list. The long list had nineteen books on it that year and they gave them just twenty-one days to read them! That wasn’t an experiment they tried again, either. I can’t think of a more qualified person for the task than you, Naomi. Congratulations to the long list winners! I’ll be following this closely! Like everyone else, I’m really only familiar with Rachel Cusk, but I’m intrigued by almost all of these titles. (I think I just heard my TBR groan.) What a fun project. I love seeing a prize list that doesn’t include all the usual suspects, and I have to say that I’ve yet to find a Canadian author whose works I’ve read and didn’t like. I agree… I love lists with some interesting, lesser-known titles. I’m really looking forward to these! I hadn’t realised Rachel Cusk was eligible. Apart from her novel these are all new to me. I’ll be cheering you and Kim on from the sidelines! Rachel Cusk was born here, but moved away at a young age. It was slightly controversial when she made the longlist for Outline, and you can hear the grumbling again this time. *whisper it* I’m not a huge fan. Lots of other writers to discover here, though. 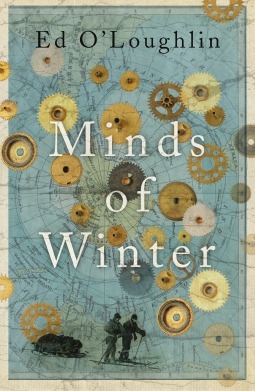 The same for Ed O’Loughlin (Minds of Winter) – he seemed to have come out of the womb in Canada, but otherwise has been raised and continues to live in Ireland. Somewhat loosey goosey as Canadian, but I am reading and really enjoying the book right now! It’s the first I’m reading from the longlist. A surprising list for sure! (to me!) 🙂 Looking forward to your Shadow reads and your selection for the winner! I’m happy to hear you’re enjoying his book – always nice to hear! 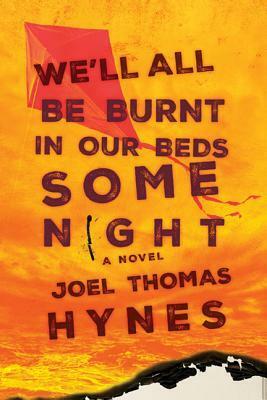 I’m reading the Joel Thomas Hynes. I have a feeling some people are going to like it and others are not. I am annoyed to see Rachel Cusk on this list just because she was born here. She does not need the attention, or the money, as much as authors toiling a way in the Canadian market. Almost as ridiculous as Eleanor Catton winning the GG (for a book I love, mind you) when she left Canada at 11 months of age! By contrast, I am thrilled to see Croatian-born Josip Novakovich here, a long under-appreciated writer with a higher international status abroad than here in his adopted home (he lives and works here, and chose to become a Canadian after years in the US). 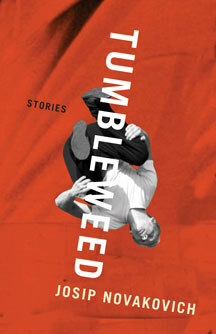 Tumbleweed is the only book I’ve read. I reviewed it for Rusty Toque last Spring. Otherwise it is great to see a diverse list and a number of small independent presses included. 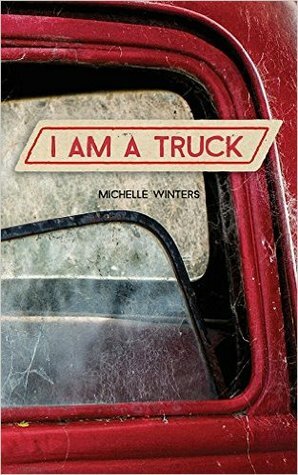 It’s so good to see the small presses, isn’t it? I’m always itching to get to the more obscure books. I’m glad to hear you liked Tumbleweed – it’s one of the books I didn’t know much about. * whispers * same here Naomi. (Both for not really liking Outline, but for being annoyed that she’s on the list again, but other, more “Canadian” (I guess??) authors didn’t make the list?? It looks like you’ve got plenty of interesting reading ahead of you! That’s quite a diverse list of books, many of which are new to me. Have fun with your shadowing – it’s always a fascinating process to readalong with other bloggers/writers. Thanks, Jacqui! I’m looking forward to it! Ah yes, the price can be an issue, can’t it? And even the availability. As for having heard of these authors, I think there are a lot of Canadians in the same boat! I love it when Prize lists take the opportunity to highlight lesser-known authors. Ooh, it sounds utterly terrifying! Onto the wishlist! It does, doesn’t it? I can’t wait to read this one! I’m so excited about this! Can’t wait to follow along with your shadow giller. I’m hosting the giller light party again here in Calgary so I’m going to be in the thick of things again. 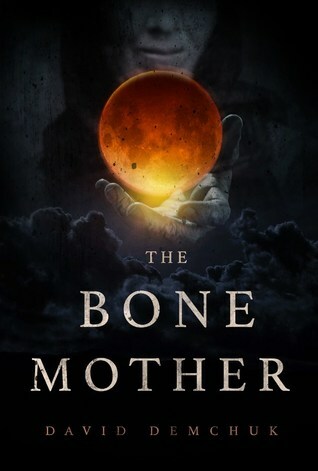 Deb Willis is a friend of mine so I hope she gets on the shortlist, and zoey Leigh Peterson’s book was my first book club pick so glad to see that was nominated. 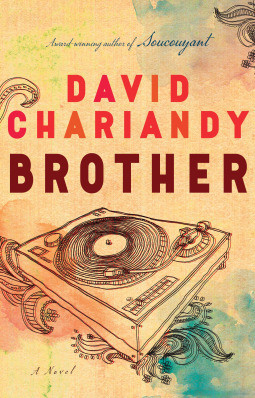 I’ve got David chariandys book on my shelf right now, and it looks quite short so I may read that next. I’m also going to the giller event here in calgary that will feature all the shortlisted authors so looking forward to that. Whew what a busy fall! Fall is crazy with events, isn’t it? Not to mention all the other things (especially if you’re a parent!). That’s a long long list. Have you read any of them yet? I am only familiar with Cusk, but I thought the book I read by her was a little too cerebral for me. 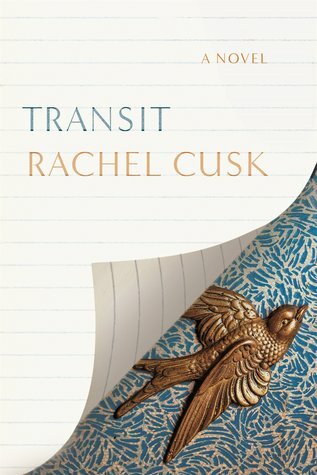 I wasn’t very fond of Outline (even though there are a lot of people who love it), so I’ll probably only read Transit if it makes the shortlist. Boundary is the only one I’ve read so far, and I really liked it! I’ll be interested to see how this goes. How many of these have you read? I wrote about the Awards too on a post on my site. I guess the name I recognize most would be Rachel Cusk. I’m not sure if I know any of the other names. I see that you didn’t care for her first book: but I guess I’m tempted to read it to see. Who do you think will win?? hmm. 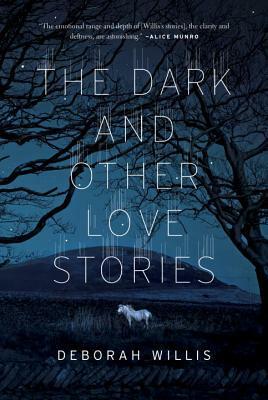 I see such usual suspects as Will Ferguson, Emma Donoghue, and Heather O’Neill did not make this list, unusual?? Yes, I think the list is (in my opinion) a nice surprise this year, with quite a number of small presses represented. 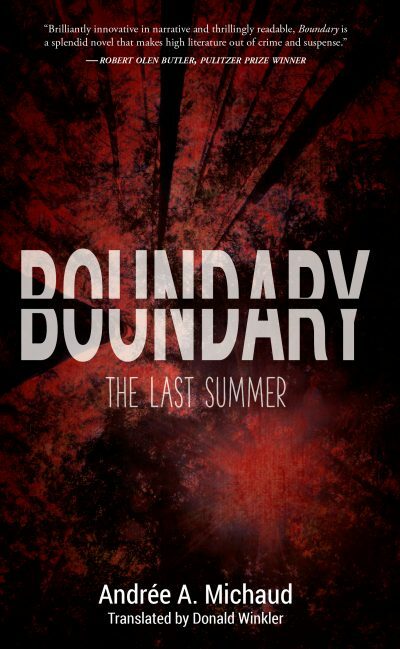 The only book I’ve read is Boundary, which I thought was good. And right now I’m almost finished We’ll All Be Burnt in Our Beds! I’m glad you enjoyed Outline so much. I have to admit I’m kind of curious now to know how similar Transit is to Outline. I think reading through this list will be a fun experience! I am looking forward to reading your posts as you participate in the shadow Giller and have my tickets for the toronto author event! 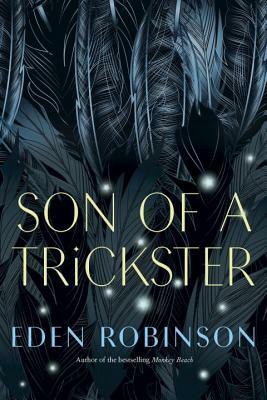 I have already read Son of a Trickster and even thought I was not going to buy any more books for an event this week, walked away with Bellevue square so let the reading begin!!! Haha… of course you did! I’m still trying to strategically work out which books I’m going to buy (rather than borrow form the library). Just so hard to say no when there is an opportunity for a book signing! The only one I was kinda hoping for was Eden Robinson’s, because I’ve been mainly reading backlisted stuff this year and wasn’t familiar enough with newer things to hope for them. So that turned out well! I hope you enjoy the shortlisted books. I think I’ve read half the longlist now, but I’m trying not to look at the list in my notebook, just keep picking up the “next one”! You’re already way ahead of me! Which means I’m going to get sneak peaks into some of the books to get me warmed up before I read them. And I love having more people to talk to about them! Oh, which one? I saw a note about something recently and thought of you, but I forgot to mention it to you. I wonder if it’s the same one! Dazzle Patterns by Allison Watt!